Hi, I hope you are having a great weekend. Dental care is very important in our lives. That is why when we don-t take good care of our teeth we can lose them very easily. But it is not too bad as nowadays there are plenty of ways to recover our smile back. 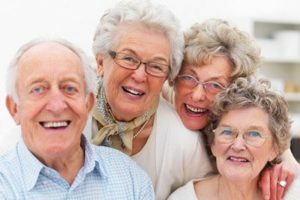 One of the most common methods patients prefer when coming to Los Algodones Mexico is Dental implants. That is why today I want to tell you a bit about them so you can picture yourself what they are and what can you do with them. It is really useful to know a dental treatment beforehand to be really prepared of what to expect. That way you get rid of the anxiety and nerves before sitting in the dentist’s chair. One thing I always recommend is to talk to your dentist as much as you can to receive all the information you need. Beside, dentists are usually really friendly. Especially in Dental Solutions in Los Algodones, where they care about their patients like no other dental office can. I have seen many patients leaving with a huge beautiful smile thanks to an excellent work and service. Let’s cut the chase here and go right into the point. And I want to avoid being to technical so I tell you in simple terms what a Dental Implant is. 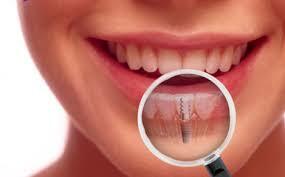 A Dental Implant consists of a screw usually made from titanium drilled into the jawbone. This screw serve as a tower sort of speak to hold either a crown or a bridge. In some more complicated procedures it can help to hold a full denture. To be eligible to receive a Dental Implant it is very important that you get a CT Scan first. That way the dentist can be completely sure that you have enough bone structure to get your implants done. If a patient get implants having a bad bone structure it can be really dangerous because it can fracture the jawbone and cause serious damage. In case you don’t have enough bone to support an implant you don’t have to lose your hope. There is a pretty easy solution to this. And that solution is called bone grafting. This is a simple procedure where the dentist grabs bone form another part of the body to put it on the location where the implant is going to be. Many patients are afraid of getting implants because they picture all the tools and process used and they imagine all the pain in the world. This is pretty common but in reality it doesn’t hurt at all, not even one bit. During all the procedure the patient will be under strong anesthesia. So if pain really worries you, you shouldn’t. You can request sedation if you can’t stand being awake during the process, it works like a charm. You got you Implants at very low price at Dental Solutions in Los Algodones, nice! Now, what is next? Well, now you have to wait 6 to 8 mont hs to come back to get your crowns or dentures. This is because you need that your mouth heals completely first before putting anything on your implants. This is really crucial to the success of the treatment because if you don’t follow your dentist’s instructions you are risking your implants. Yep, that is right, you can send all your money down the drain if you don’t take care of yourself during the healing process. So if you want your implant to last a life time, make sure you do everything your dentist tell you during this time.